The incidence of Type 2 diabetes is on the rise in the US — and so are treatments and procedures for which there’s no evidence whatsoever that they work. In this week’s issue, we identify the five most common diabetes treatment scams and how to spot them. We also explore dubious claims about effective hair restoration treatments. Amazing health claims lie behind many types of treatments for long-term illnesses and disorders. This week, we’re focusing on two in particular that have attracted their share of scams — diabetes and hair loss. While there are legitimate and clinically-proven treatments for both of these, there’s also a huge number of products that either haven’t been proven to work or are out-and-out scams. In some cases, the products can actually be dangerous. In the case of diabetes, many of the supposed treatments are sold as dietary supplements, which means they’re not controlled by the US Food & Drug Administration (FDA). But the American Diabetes Association (ADA) says there’s no evidence that any of these so-called supplements can treat diabetes or control blood sugar levels. And the US Federal Trades Commission (FTC) warns that even if, in themselves, the supplements are harmless, they can be dangerous if people use them in place of effective, proven treatments. Natural supplements, including over-the-counter (OTC) products, claiming to control blood sugar and improve insulin sensitivity. The only supplements which may — and the emphasis is on “may” — help in borderline cases are chromium and cinnamon. E-books and online guides that promise readers they can help you stop taking your meds and even reverse diabetes by following a “safe and natural” program. These guides are usually sold for a few dollars, whereas any research-backed treatment that has been show to work is published for free by the ADA. Extreme diets. They may help you lose weight and contribute to lower blood sugar but the diets are often so extreme they can’t be sustained without endangering health. Magnet therapy. There are several products under this heading, such as magnetic shoe inserts and magnetized water. There’s no evidence to support claims that they can reduce blood glucose or increase blood flow. Hydrogen peroxide. Again, there’s no evidence that this liquid, often found in first aid kits, can help with diabetes — and ingesting it could damage your digestive system. If you’re a diabetes sufferer, you should never try any type of “treatment” without consulting your doctor or other specialist health professional. Promise a fast or “guaranteed” cure — there’s no such thing. Use the word “natural” — there’s no official or legal definition of this term. Require upfront payment for a course or program. Don’t have evidence of scientific testing. Require you to stop taking your existing, prescription meds. For more help and information, visit the ADA website or check out the Everyday Health website referred to above. People can lose their hair for a range of reasons — from a genetic predisposition to illnesses that cause hair loss. In some cases, either for cosmetic or genuine medical need, people often search for treatment on the basis that they’ll try anything to get it to regrow. While certain treatments and procedures have produced results, many others are based on dubious claims. It’s apparently actually illegal to claim a product or service achieves hair regrowth without back-up scientific evidence and FDA approval. But that doesn’t stop vendors from claiming this or using wording that implies regrowth without actually saying it. They might even use before-and-after photos that suggest hair regrowth when all the product actually does is thicken existing hair. Before seeking any kind of treatment, speak to your doctor. 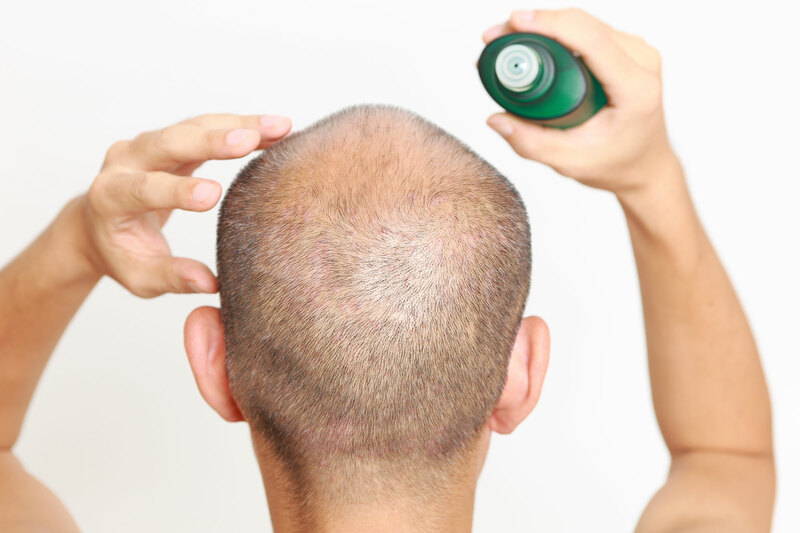 There are some drugs, ointments, and injections that have been shown to work on certain hair-loss disorders such as alopecia. Beware of ads or promotions that use words like “miracle,” “wonder,” and “amazing.” There are no miracle regrowth treatments. If you’re seeking a surgical procedure, ask for evidence of success and customer references from the provider. Ideally, try to meet up with someone who has successfully undergone the treatment. Watch out for an overseas call on your cell that seems to originate from South Sudan in Africa. It’s the latest in an overseas call scam (most recently from the Dominican Republic) that tries to get you to call or text back. If you do, you’ll be using a premium line service, which will play a recorded message and try to keep you connected. The longer you stay on the line, the bigger the premium bill you’ll pay. In the unlikely event you have family or friends in South Sudan, make sure you know their phone number and only pick up on calls that visibly come from that number.